One of our biggest changes is reducing the need to UV map most of our environment’s 3D models. We made the decision to keep our models simplified without needing lots of manual texturing so it will save us more time when we create new assets. We created customizable shaders that are textured in world space, and only one planar UV that allows us to add details like wear and paint. The best part is, it now allows us to add one of our favourite new features: real-time track progression! Cars can now affect the track as they drive. Over time, the track tells a story about the history of a race session. It's a great addition to the game because these skid-marks really makes the environment come to life. For other parts of the environment such as rocks and cliffs, we have shaders with height-based gradients and world space texturing. These shaders also have coverage based on the direction of the surface. This lets us quickly create environments without needing to UV map each new asset, while still maintaining depth and interest in our scenes. But, why change what you guys already had? We made the decision to simplify our process because tracks were taking far too long to build. We came up with the solution to make asset creation simpler, allowing us to create tracks faster while keeping the artistic quality top notch. These changes are important to the ARL experience because as developers, we want to use our time as efficiently as possible. A faster art pipeline means we can spend more time polishing and improving our tracks. It increases our ability to add value to the experience as a whole, and that will make a big difference in the final product. 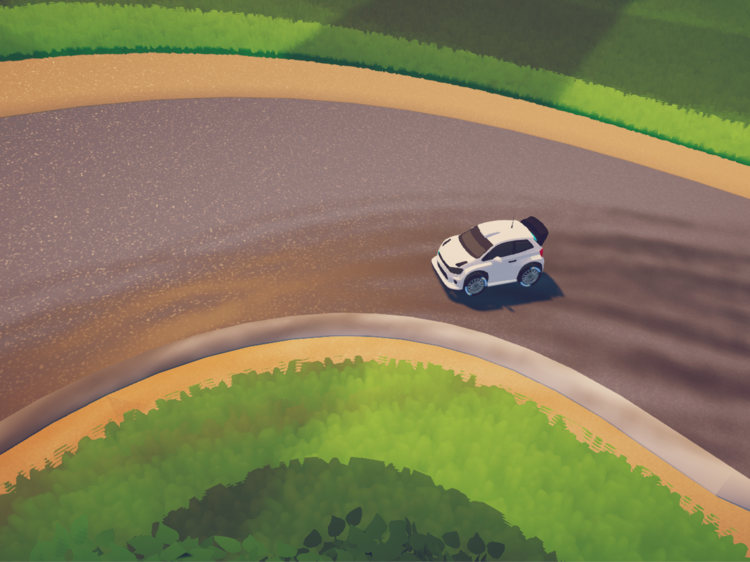 Aside from that, the real-time progression of the track adds a huge impact to the game's experience, and we think players are going to love this feature! Our next goal is to implement the new art pipeline to our next tracks! We'll also begin working on the AI for our new physics. That's all for now, thank you for reading! As always, if you have any questions or comments, feel free to reach out to us. Till next time!